We see opportunities for collaboration for art and architecture students and NuPath. We would love to engage the students in a potential competition project of creating sculptures to the name of those who were part of NuPath. The project is to design a single sculpture or installation that could be dynamically multiplied on site. 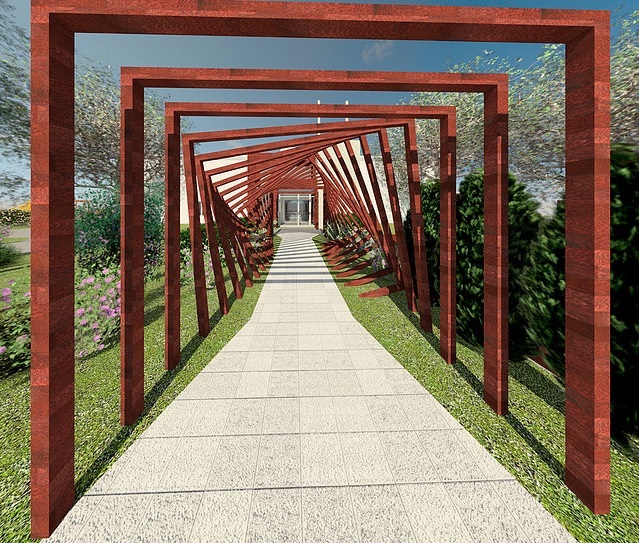 The outdoor space is located on the back green space of the building, located in 147 New Boston Street in Woburn, MA and it is currently being planned as the Outdoor Sculpture Park . With the innovative and creative ideas from art and architecture students, we can help memorialize people that were part of the NuPath family. NuPath is a company that would like to build a relationship with the artist or designer. The prizes include a $1,000 award and a feature on NuPath's website. The idea also can have the possibility of being built in later phases. A 3-D rendering on a computer software or a photograph of a physical 3-D model needs to be entered. This will show the judges how your ideas can be transformed into a physical, three-dimensional product, that can be viewed clearly. The photos/drawings should include material choices, colors, and general scale. Describe an idea that can be directly related to the NuPath organization and the idea of memorializing loved ones. The length of the description is dependent on the designer. It should be clear and concise. The artist shall provide a concept description, dimensioned or scaled drawing of the idea. We would like you to indicate where the sculpture or installation will be located. This can be done on the site plan or as a photoshopped image of the 3D renderings. We look forward to seeing all the amazing work! Four finalists will be selected to present to NuPath and the judges, about their ideas and designs.The finalists will attend a gallery-like event with their work on display. The presentation can be digital or physical with 3D models. The panel of judges will select a winner! Check back for the upcoming date for the awards reception. Please send submissions to fjoreta@pionarch.com.